Easily manage your monthly GST Return through BIZINDIGO. Online hassle free process for GST Return filing in India. Starting from Rs. 499. A GST return is a document or statement of supplies or services (Inward & Outward), Input Service distributed (ISD) or Tax deducted or collected EDS/TCS that a taxpayer is required to file as per the governing law of GST. Under GST Law, a regular taxpayer needs to furnish three monthly returns (GSTR-1, GSTR-2, and GSTR-3) and one annual return. Details of outward supplies of taxable goods and/or services effected during the previous month. It needs to be filed by the 10th of every month. Details of inward supplies of taxable goods and/or services effected claiming input tax credit (ITC). It needs to be filed by the 15th of every month in relation to supplies received during the previous month. It consolidates the Outward Supplies (Auto Populated from GSTR-1), Inward Supplies (Auto Populated from GSTR-2), ITC availed, tax payable and Tax Paid (Cash + ITC). It needs to be filed by the 20th of every month. 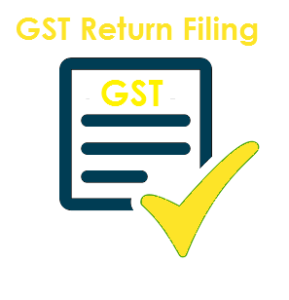 List of all the returns which are required to be filed under the GST Law.